Quality MEWP Hire. Cherrypickers, Scissorlifts and Booms. 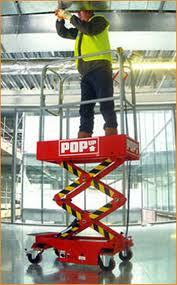 If you are looking for Mewp Hire, call the powered access expert today on 08442733285. Our trade experts will help you find the right equipment to hire from our huge range. 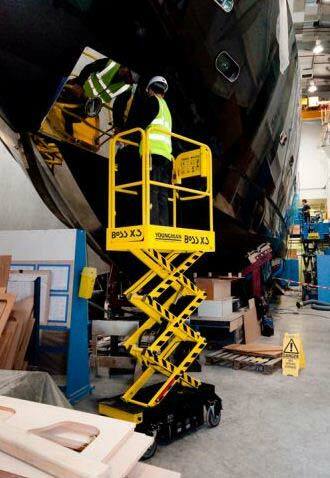 The smallest stock we hold are the Pop Up Scissor Lift products and Boss X3. We also have large scissor lift packs, Cherry Pickers and booms to hire. The Electric Pop up and Boss X3 machines have a great long term reputation as one of the original platforms in the small platform hire market. This platform is a great alternative to podium steps and small scaffold towers. This small foot print narrow stock has a 3.6m platform and is ideal for a 1 man lift plus tools. Platform height of 1.6m which gives a working height of 3.6m. Perfect small platform for 1 man plus tools. Holds a good full days charge and reduces fatigue related to using podium steps and ladders. We offer next day delivery on these for just £65 per week plus transport. The Boss X3 MEWP hire from Youngmans has proved to be a real hit with the construction industry. Robust, quick assent times and lightweight to push around , Boss X3 hire is a strong contender in the small lift market. Again the small foot print of this along with it’s impressive 4.5m working height makes podium steps and small scaffold tower obsolete for 1 man and his tools. Many contractors are finding that the Boss x3 is a real time saver onsite and helps them the get projects finished on time and in budget. Tilt sensor; no stabilisers required. £95 per week. Next day delivery available. We also stock the larger MEWP scissor lift packs from JLG and Genie. For example we have the ever popular Genie 1930 in stock and available generally for next day delivery. From just £105 per week plus transport. 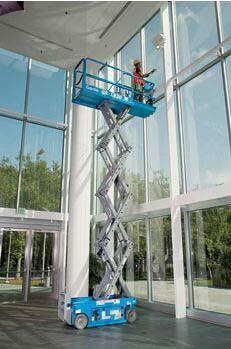 We now have a range of 21 different types of cherry picker / Boom lifts for hire. 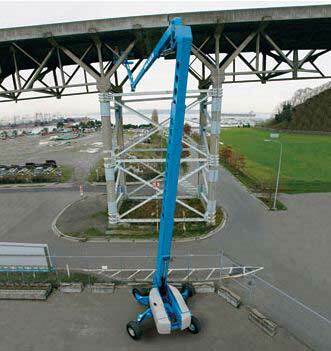 Manufacturers include JLG, Niftylift, Skyjack and Genie. If you need an electric, diesel, articulated or any other type of boom MEWP call us on 08442733285. Platform heights up to 43m. Amazing range of 21 different Cherry pickers.